Congratulations Ms. Graziano, who was awarded a Teacher Excellence Award for May 2017 during Teacher Appreciation Week. 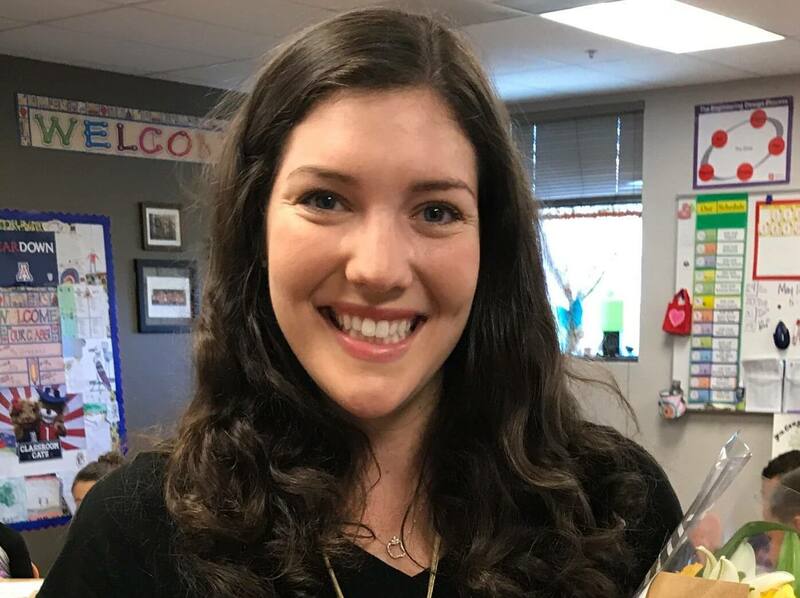 Ms. Graziano is a second grade teacher at Esmond Station Iron Horses K-8 in the Vail School District. She received flowers and a plaque from TVT, a $100 gift card from Office Depot/OfficeMax, a Ben’s Bell, and pizza for her classroom, courtesy of Humble Pie! Kudos to you, Adrianne! Thanks for all you do!